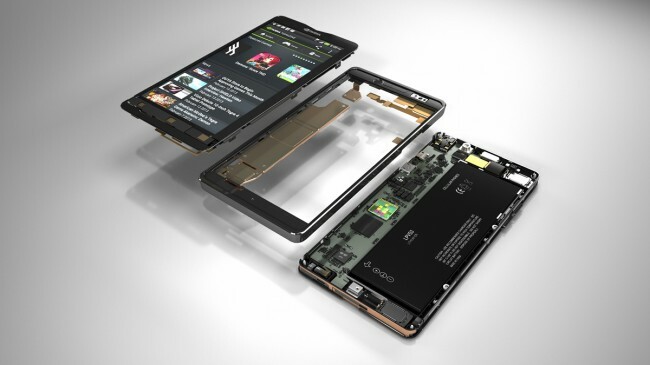 The Tegra 4i has us all excited. It’s basically the Tegra 4 with matched performance and matched battery life, but finally brings integrated 4G LTE capabilities. All of those specs make this upcoming processor something to keep an eye out for. NVIDIA is currently at MWC and put out a short video showing off some of the features of their newest mobile chip. We get a good sense that the 60 GPU cores in the Tegra 4i and the Phoenix reference phone that it’s packed in are being put to good use. The graphical power of this chip shines in the display of an HD boxing game and a 1080p trailer for an upcoming Tom Cruise flick. NVIDIA also explains how the CPU and GPU in the 4i help the phone to take better HDR photos than the competition. As for the Phoenix phone, don’t expect to get your hands on it anytime soon. It’s a sleek and simple device, with no real physical features to speak of other than the addition of HDMI-out. Think of it more as a developer platform that OEMs will get to tinker with and build off of.